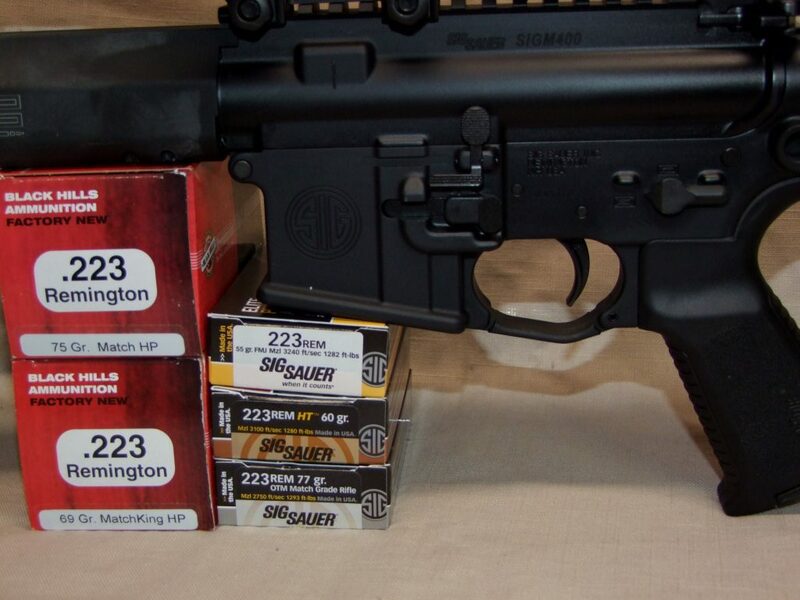 With the number of “affordable” ARs on the market I was glad to see Sig Sauer produce a practically perfect out of the box AR, the Tread. 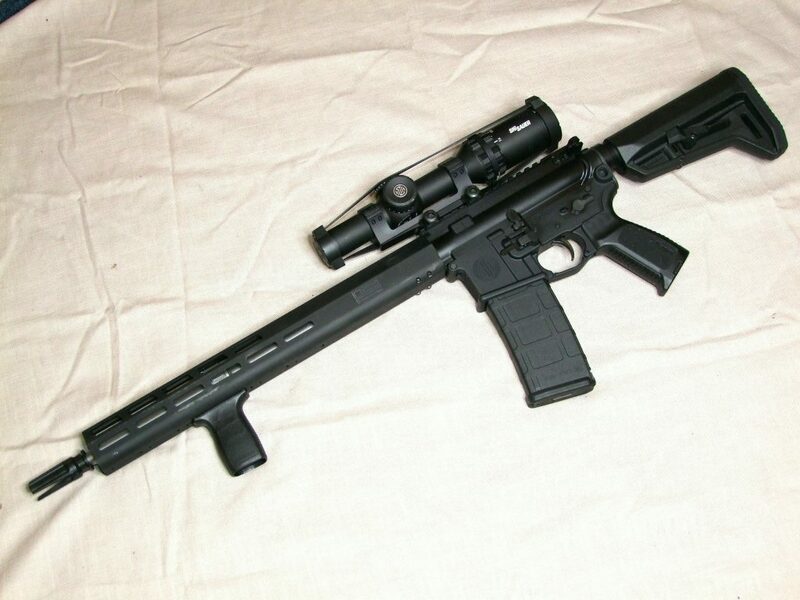 When I say practically perfect, it has an M-Lock forearm, flip-up co-witnessing sights, ambidextrous charging handle, ambidextrous magazine release, six position adjustable Magpul SL-K stock, 1 in 8 twist mid-length gas system barrel and crisp single stage trigger. At full retail the Tread is $951, with these options that is a good deal. No doubt, you may find it for less at your local FFL dealer. Out of the box Sig’s Tread is ready for use. The ambidextrous controls are a blessing for shooters. Unlike aftermarket parts they do not interfere with the trigger. 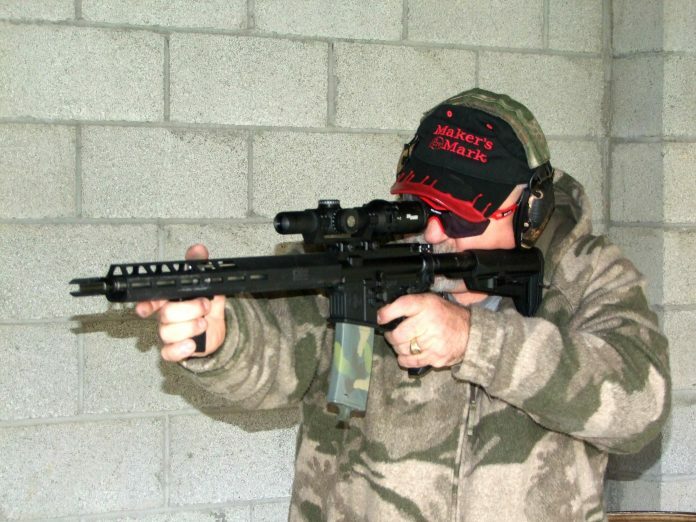 My sample Tread arrived with a 1-6 power Tango 6 scope with Tread short fore-grip and three prong flash hider. 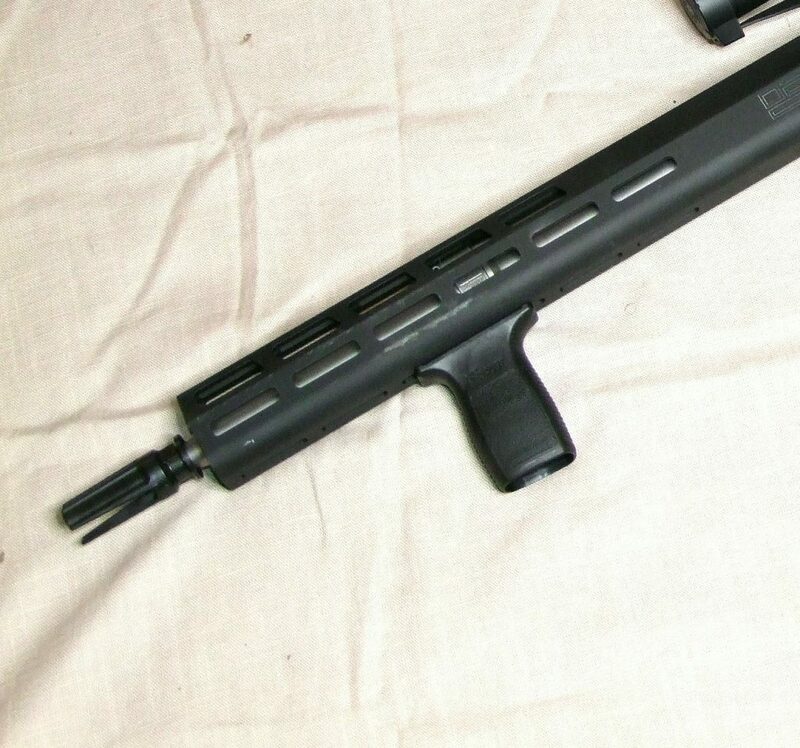 If you prefer to install a different brake or suppressor mount the barrel has ½-28 threads, standard. If this were my Tread I would install a Surefire brake so I could mount my Surefire Mini, to reduce the sonic crack and virtually all muzzle rise. 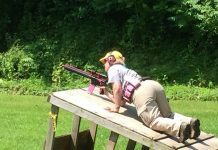 It was very overcast when I was testing the Tread and there was no muzzle flash. 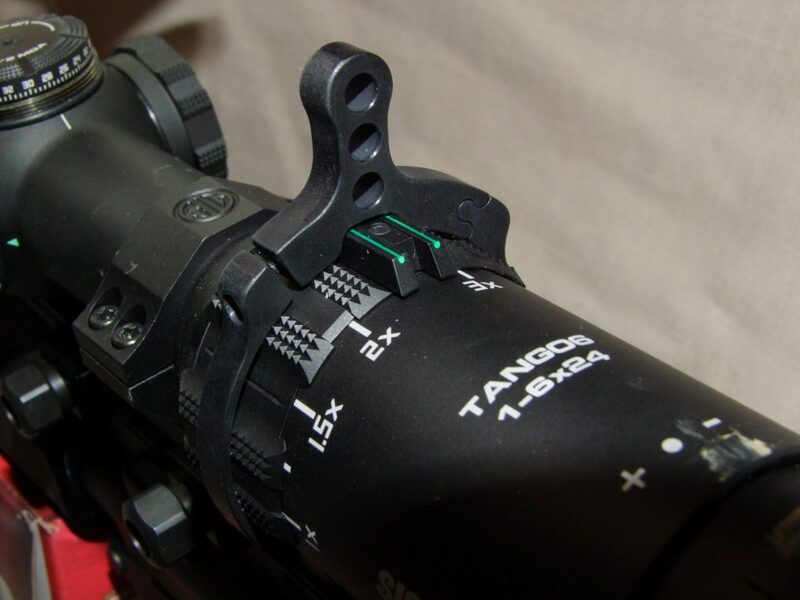 The Tango 6 arrived mounted and with a throw lever, a must for three gun. What impressed me most about the Tread was the trigger. I have been shooting AR style rifles for nearly forty years and this is one of, if not the best factory trigger I have fired. It was crisp, breaking at four pounds with virtually no reset distance. 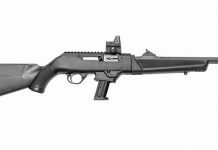 I know many will want to swap out the trigger for something lighter like pro three gunners shoot, but I am looking at this as an economical carbine to protect myself and others. Dropping in a two to four hundred dollar trigger group defeats that goal. I would prefer to put that money toward a quality optic like Sig’s 1-6 Tango 6 optic. The Tango 6 is available in first or second focal plane models. Our sample was a first focal plane and retails for $1799. 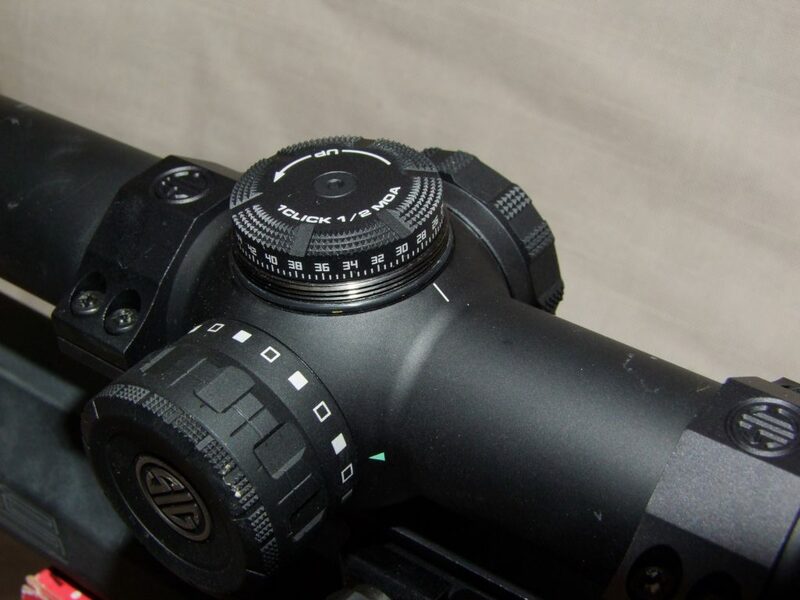 When shooting a first focal plane optic you will notice the reticule size changes in relation to the magnification. This means you will find little or no point of aim/point of impact shift as you change the magnification. The illuminated horseshoe BDC is fast and accurate. Once I had zeroed the Tread and Tango 6 at fifty yards, I was dead on at two hundred yards. I prefer using the fifty yard zero over one hundred yard zero for my applications. Like Ford versus Chevy, the choice is yours. The windage and vertical adjustments are positive and the reticule brightness is easily adjusted. 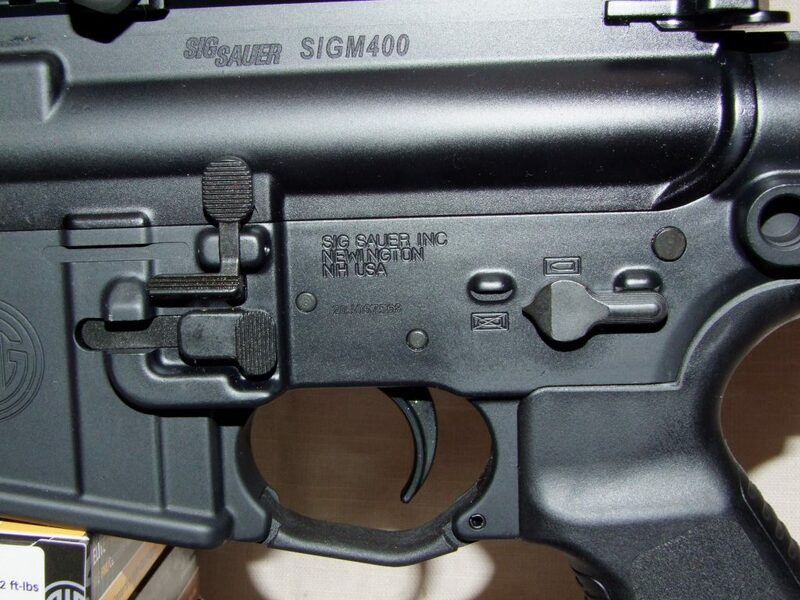 What I found intriguing about the Tread is Sig’s new design for the forearm. It is not round, it’s not a polygon. I would describe it as a flat roofed house with rounded corners of the foundation. On each of the forearm’s sides there are M-LOK slots to allow you to mount lights, lasers, grips, etc. The best feature of this design is it just feels good. You have the smoothness of a round forearm and the stability of a polygon shaped forearm when using a table or fence as a support. This forearm is just like the last bowl of oatmeal in The Three Bears, it is just right. The forearm and short grip fit and feel just right. The flat bottom gives you a solid support on tables, auto hoods, etc. After examining the Tread and lubricating the bolt carrier group and trigger, I ensured the scope was properly mounted and bore sighted. Next I needed ammunition to shoot with. I had a bag with mixed factory 55 grain full metal jacket cartridges that would be ideal to check actual zero and to run through her to check function. To see how well the Tread performed I had two loads from Black Hills Ammunition; 68 gr. Heavy Match and 77 gr. Hollow Points, Federal’s 69 gr. Gold Medal match and three loads from Sig, 55 gr FMJ, 60 gr HT and 77 gr OTM. To feed the Tread ammunition I used Lancer’s L5, Troy’s Battle Mag and Brownells CS SOCOM magazine, and the OEM P-Mag. I used a couple twenty round magazines while shooting from the bench using MTM Case Gard’s Pistol Rest to steady the Tread. The twenty round magazines set nearly perfectly on the Pistol Rest giving two points of contact to steady the carbine. I had the Tango 6 and Tread zeroed in less than a dozen rounds. After that I fired several groups off hand at distances from seven to fifty yards. After a couple hundred incident free rounds, it was time to shoot the Tread for accuracy at the traditional distance of one hundred yards. Thanks to the magnification on the Tango 6 and Birchwood Casey’s Shoot-N-C Targets, I did not have to trek down range to check every target. I found the 1 in 8 twist barrel accurately stabilized all the cartridges. There were no great differences in the performance of the loads. Five shot groups of each load all were under an inch and a half. I did manage to get one five shot group with BHA’s 68 grain Heavy Match to come in at 0.634”. After that I quit, figured why press my luck. Over the last couple of decades I have fired dozens of ARs. Most of them I thought, I need to do XYZ to make it perfect. This was not the case with the Sig Sauer Tread and Tango 6. The only thing I would add are, a quick detachment point for a sling, a light, possibly a section of rail for a front back-up sight, and flip-up back-up sights. Other than that, the Tread is good to go. This carbine would serve well for varmint hunting, three gun competition, and duty or home protection. For the last few years, Sig Sauer has been responding to the consumer’s wants and needs. The Tread is the latest of Sig Sauer’s fine firearms that live up to Sig’s motto “to hell and back reliability”. If you are looking for a new AR, put the Tread on the top of the list. Take it out to the range to shoot it accurately, safely and have fun doing it. Scott is a former federal LEO who served on active duty in the Army in numerous positions and USAF Reserve Security Policeman. He is active in USPSA and three gun competition and is a charter life member of IDPA. 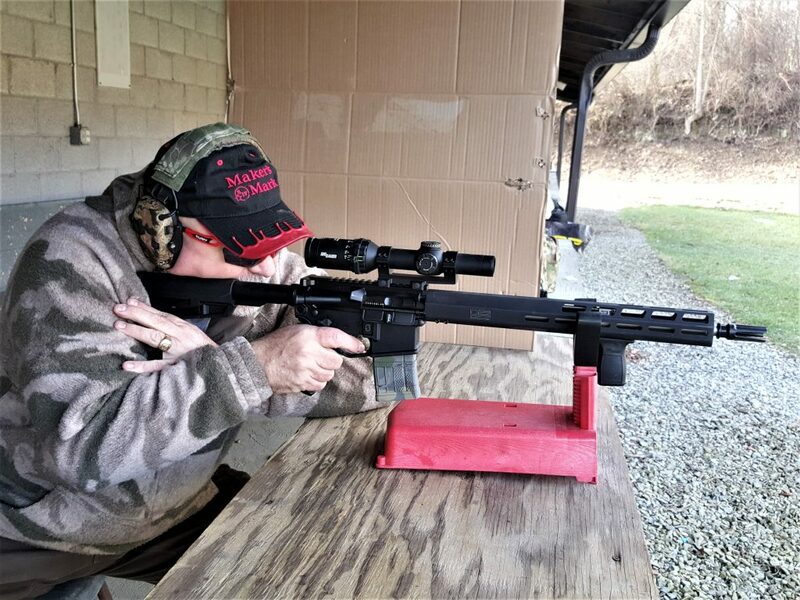 Over the past twenty plus years he has written for numerous publications and has graduated from many shooting schools including Gunsite, Sig Academy, Blackwater.